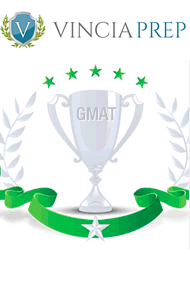 Over 2,000 MBA progams around the world rely on the GMAT exam results to help choose which candidates will get into their schools. And while there are definitely business schools that will allow you to skip the GMAT, most of them won't -- and the top-tier schools will almost certainly want you to take the GMAT exam. According to U.S. & World Report News, the 6 hot jobs for MBA graduates include financial advisor, fundraiser, medical and health services manager, logistician, human resources specialist, and marketing manager. So read on to learn about these 6 careers that you'll be likely to get if you have an MBA and that will give you a salary boost. Financial advisors help their clients to sort out their short-term and long-term financial planning goals. For instance, they help clients with retirement, saving for big-ticket items, and putting away money for their children's post-secondary education. The Bureau of Labor Statistics, in fact, says that the financial advisor profession is expected to have a 30% growth rate between 2014 and 2024. One source notes that financial advisors made a median yearly salary of $89,160 in 2015. Even so, the highest-earning people in the sector brought in over $187,200. Fundraisers are tasked with raising funds for their employers whether they be a public, private, or non-profit organizations. They reach out to past donors and new donors as well as organize fundraising drives. Fundraisers can earn upwards of $80,000 annually -- and possible even more. Medical and health services managers are responsible for ensuring that healthcare facilities -- be they nursing homes, long-term care facilities, or hospitals -- run efficiently and properly. MBA professionals who desire such a position would be able to leapfrog over the competition if they also have a medical background of some sort. One source states that medical and health services managers could pull in some $97,000 annually, though the median amount is just under $65,000. Logisticians are tasked with coordinating with other stakeholders to achieve agreed upon objectives whether they involve responding to disaster relief situations or setting up deliveries to clients. It involves project management skills -- which are part of the MBA curriculum. MBA earners who go into this field can pull in a monster salary. While the median income is some $51,517, one source says that it's possible to rake in up to $452,028 for the most senior of roles. Human resources specialists are responsible for hiring and recruiting talent. In addition to this, they also oversee compensation and benefits. While people can get into the field with an undergraduate degree, they can set themselves apart with an MBA. For professionals with experience and an MBA, it's not impossible to make a salary that is in the neighborhood of six figures. Marketing managers are responsible for selling a business' products and services. Their roles can include working on pricing strategies, developing advertisement campaigns, and overseeing marketing budgets. Marketing managers, who use analytical skills and business skills, make a median salary that works out to $127,130. Once you figure out which type of career you want after graduation, you’ll be in a position to decide not only what MBA specialization you want, but also which school you wish to attend. Because taking the GMAT exam will mean you can apply to more business schools, prepare for and take the test -- if only to increase your chances of getting accepted into a program.